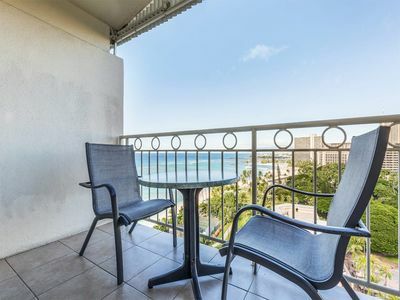 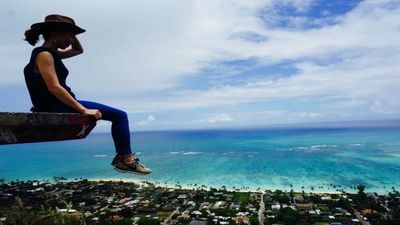 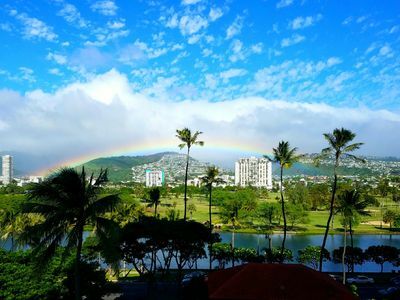 Located in the heart of Waikiki steps from the beach, at The Seashore-- 2450 Koa Ave. On the 9th floor of a 10 floor building, near the Hyatt Regency and the Duke Kahanamoku statue. 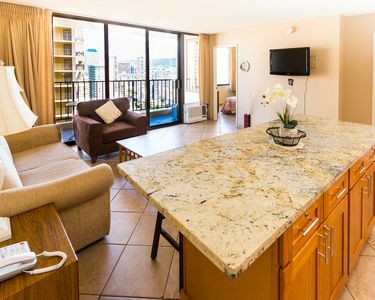 This beautifully and comfortably furnished ocean and Diamond Head view unit is in one of the most ideal and desirable locations in Waikiki. 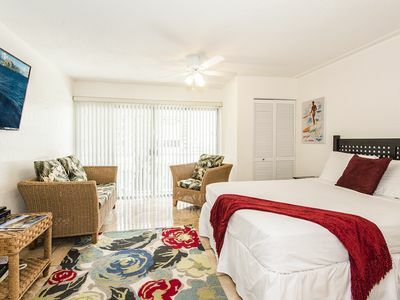 This recently-renovated unit features a new pillowtop/small coil queensize bed (and a full sleep sofa), a Samsung flat screen LCD tv with cable, high speed Internet, and telephone with free calling to anywhere in the U.S. and Canada. 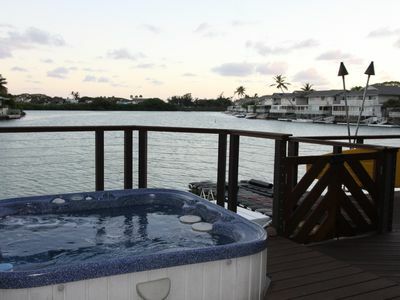 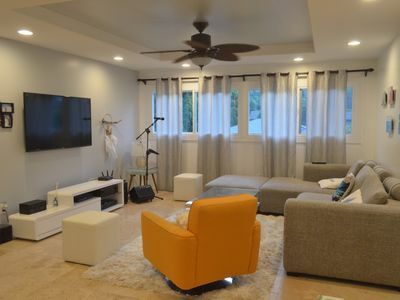 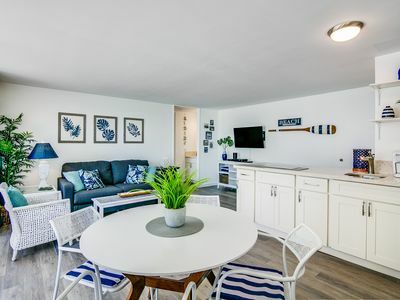 There is a full kitchen with full-size oven/range, microwave, refrigerator and all of the small appliances/dishes/pan/flatware that you will need. 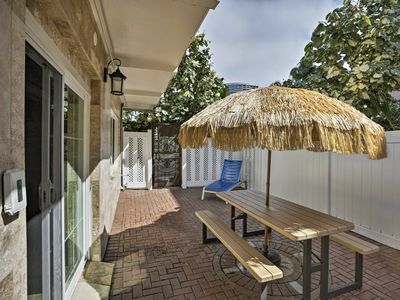 The lanai has dining furniture to enjoy beautiful mornings and tranquil evenings. 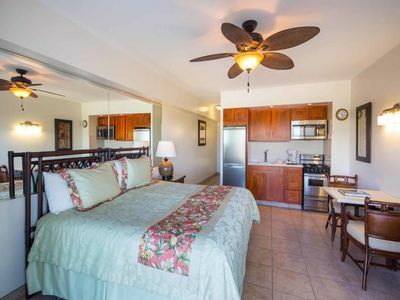 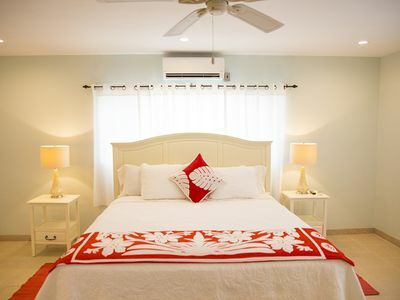 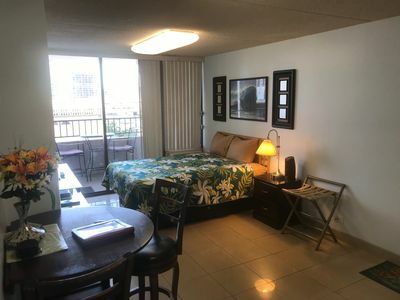 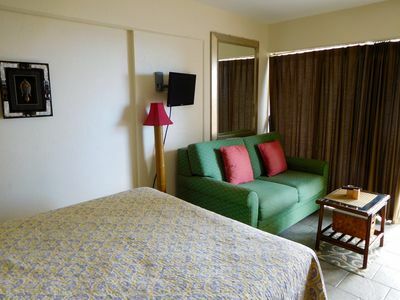 Within two block of the unit you will enjoy the convenience of an ABC store, full grocery store, fast foods, fine dining, countless outdoor activities as well as beautiful Kuhio Beach. 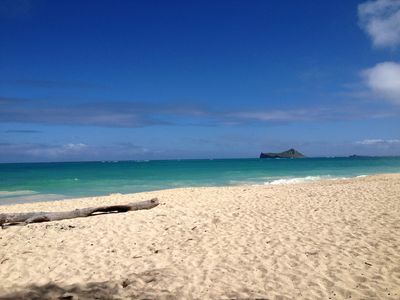 We have beach chairs, beach mats, towels, coolers and everything you'll need for a day at the beach. 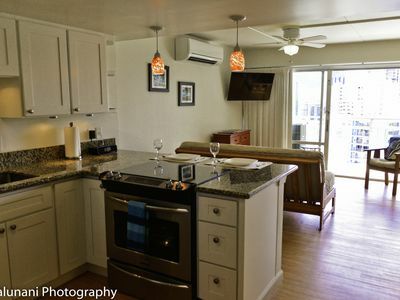 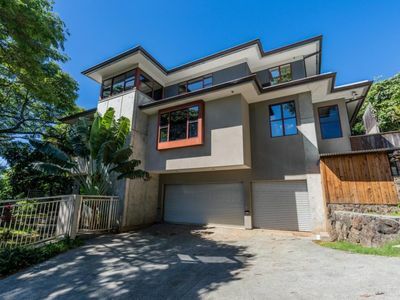 Small and convenient, the building is called The Seashore because it is 150 feet from Waikiki Beach at the Hulu Mound. 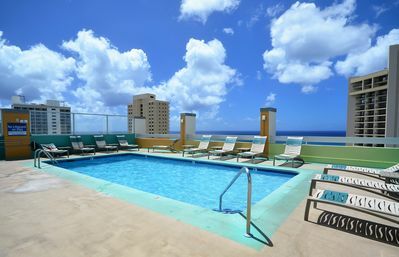 There is a community laundry, two elevators, secured entry to the lobby. 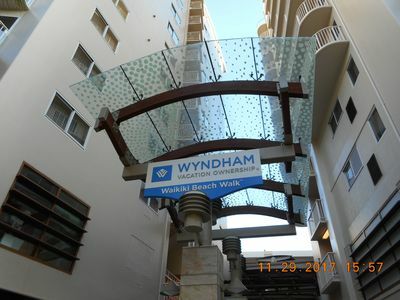 No parking at the building but available at adjacent locations. 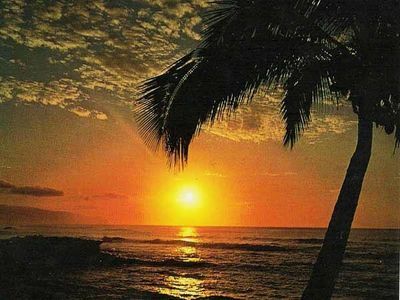 You will enjoy. 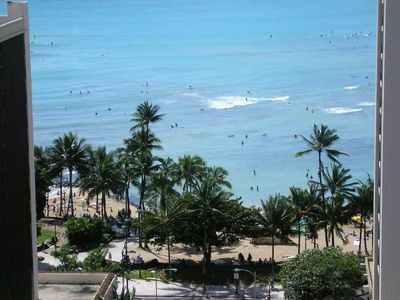 Sit back and relax at Waikiki Beach!